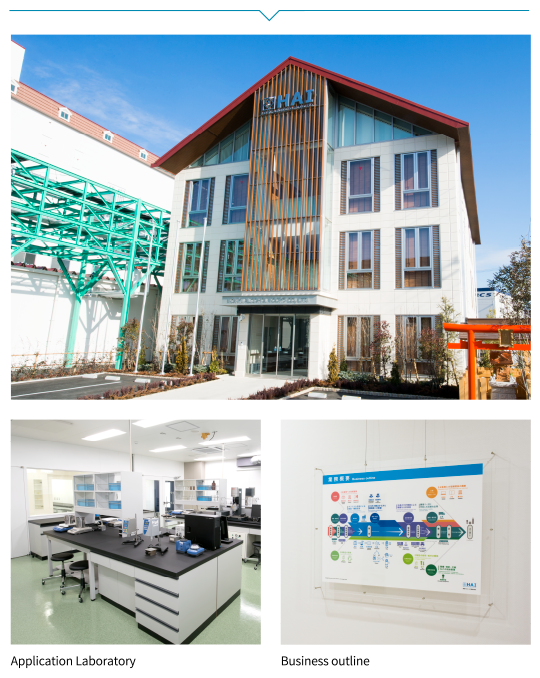 Production Facility / Research Institute｜KOKYU ALCOHOL KOGYO (HAI) - Production and sales of cosmetic raw material and ingredients. and engage in the proactive development of new ingredients. It is preferred that cosmetic and pharmaceutical ingredients for topical use are colorless, odorless and non-irritating. 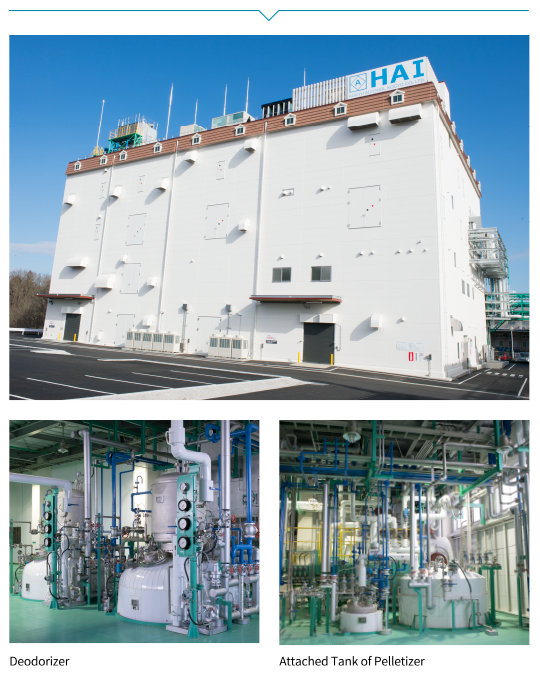 Over 65 years of R&D, KOKYU ALCOHOL KOGYO CO., LTD. has accumulated unique know-how on advanced purification methods. This know-how, accumulated through the process of a variety of purification tests is truly the fruits of our labor, earning the trust of more than 1,000 domestic and 500 overseas companies in cosmetic and pharmaceutical fields. There is no end to our pursuit of technological improvements. Even at this very moment, we are exploring new production methods. 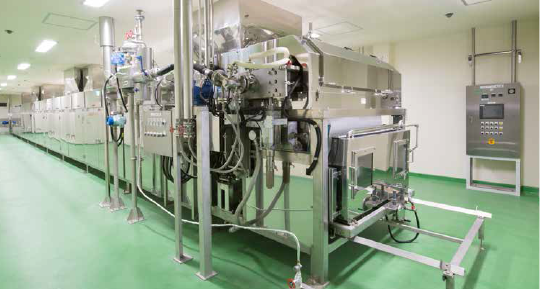 The history behind our advanced purification technologies is also the history behind the evolution of our production facilities. Throughout the process of product development, we have accumulated extensive know-how in regards to the specifications and design of our equipment. Each piece of equipment is custom-built, including the custom-made pelletizer installed at our Second Plant. We play a leading role in the development, design and manufacture of our equipment, sometimes in collaboration with equipment manufacturers. 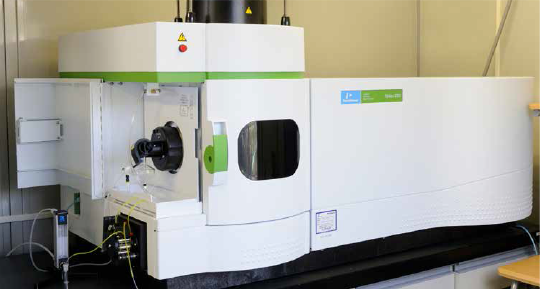 Our commitment to our equipment is a key factor in the realization of high-quality products. To pass strict quality standards, we conduct sophisticated analysis using cutting-edge analysis equipment and advanced analytical technology. 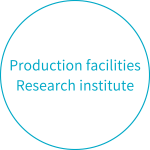 Each stage of the production process and the advanced analytical know-how applied to each individual product are indispensable to maintain the high-quality products our customers have come to rely on. We conduct sophisticated analysis and tests based on the strict quality standards that we set for ourselves as well as those required by our customers. 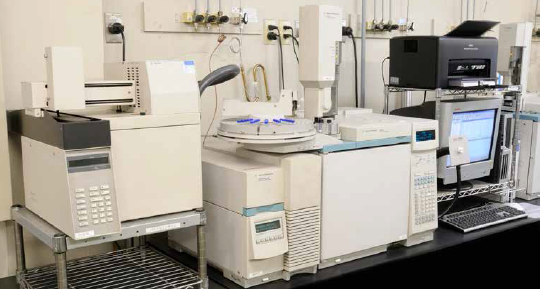 Our qualified staff and advanced analytical equipment, such as gas chromatograph-mass spectrometers (GC/MS), most of which are automatically controlled, allow us to carry out reliable analysis and tests. In addition, along with the pursuit of analytical precision, we place a strong emphasis on selecting test reagents and methods in accordance with the effects they have on the human body and the environment. 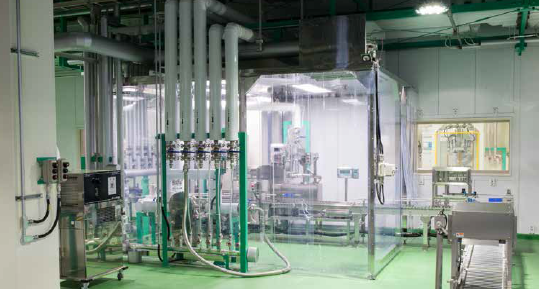 The plant is organized on 4 levels, with equipment configured so as to ensure an optimum flow, from raw material supply to reaction, refining, filling and shipping and is equipped with all the facilities required for the production of esters, glycols and higher alcohols. The R&D Center is equipped with all facilities for product development, characterization, application and quality assurance to provide further accurate data. The building was also planned with an open design to welcome visitors.